Welcome! You’ll find interviews with children’s book illustrators here, tips on drawing, painting and illustration and a few notes on the children’s publishing scene — aspects changing and unchanging. Children’s book author-illustrator Mark Mitchell manages How to Be a Children’s Book Illustrator and two other art and illustration related blogs. He’s the author-illustrator of Raising ‘La Belle’: The Story of the ‘La Salle Shipwreck‘, which won the 2003 Spur Award for the best juvenile nonfiction book. His two other books for upper elementary and middle grade readers are Seeing Stars and The Mustang Professor. His articles have appeared in American Artist and the magazines Watercolor, Drawing and Workshop. His ink and watercolor illustrations have appeared in his and others’ books and the children’s magazines Appleseeds, Cobblestone, Faces and Footsteps and Cricket. Mark teaches classes in children’s book illustration at the Art School of the Austin Museum of Art-Arthouse and through his online course Make Your Splashes — Make Your Marks! You can reach him here or his Facebook page, How to illustrate a Children’s Book. He lives in Austin, Texas. I am currently working on illustrations for my children’s book. I was wondering if you could tell me the maximum dimensions I should be working with. The drawings are very detailed and may not shrink down well. Currently, I am working in a 20″ x 10″ format (for a double page illustration), but I was thinking of cropping the composition down to 18″ x 9″. Any help or advice you could give me would be greatly appreciated! Thank you. I e-mailed you a reply to your question in case you never find this blog post again. Thanks for posting your question to the blog, Julia. Hi Sarah, I sent you an e-mail via your website. You do beautiful work, btw. It looks like I missed the March class. Can this course be taken at any time or does it start only in March? Just so I understand this, you will teach me how to create a childrens book from start to finish? And how to get it published? I already wrote a childrens book, but my illustrations are lacking. And I wouldnt even know where to begin to start. Look forward to your reply. Thank you for asking about the course. It can be taken at any time. It’s self-paced and everyone taking it has started at different times. It also features monthly group critiques, video interviews with successful children’s book artists and a supportive online community and resource sharing site. I hope this helps, Nicole! Please holler if you need any more clarification! 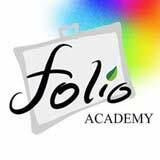 When you work through this course, do you get to work with a professional illustrator one on one? Does it deal with watercolor paints, or acrylic, or oil? Or will it work pretty much for anything? Thanks. Thank you for your question! Students apply the PDF lessons to any project or illustration they might be working on; then we talk about student work on our monthly webinar/conference calls. You also can chat with me and other working illustrators in our online children’s book illustration community anytime, ask questions, upload work to be looked at, etc. I am happy to talk to you one on one, thru e-mail or chat or (Skype call, etc.) about a piece or a trouble spot in your work if you feel like you need a consult during the duration of the course, and you can always e-mail questions. It’s a pretty interactive thing. We encourage students to work at least a little with watercolors because they’re convenient for mixing colors and learning basic painting ideas with, plus they are still used a lot by children’s book illustrators. The “Power Color” principles are universal and apply to any painting medium, including acrylic, oil, colored pencils and digital. Other principles and ideas in the course work with all kinds of art mediums! I appreciate your signing up for the Color Mastery tutorials, Monica! I am very keen to get started as a children’s book illustrator and any advice is greatly appreciated as is feedback. If you can check out my efforts now, nearly yr and half later I’d appreciate it. You have a dynamite Flickr site, Leah! Thanks for sharing here! Hello, my name is Dawn M. and I have just about finished writing a children’s picture book. I am now working on illustrating it, but I don’t know ANYTHING about what dimensions the pictures should be in or if it matters what medium I choose, or anything. Could you pretty please be of help, or point me in the right direction? Thank you so much, Dawn M.
Hi Dawn, congratulations on nearly completing your picture book. Watercolor is a good medium for illustration, but so are other mediums and computer software, too where you can paint electronically. My online course focuses on illustrating children’s books in watercolor, the medium I have experience in. (See tab above.) If you’re submitting a picture book proposal, just make it the size of an actual picture book you like and are using as a template. A publishing house, if it likes your book, may want the pictures to be in a different format or dimensions, but this will give you something to start with. 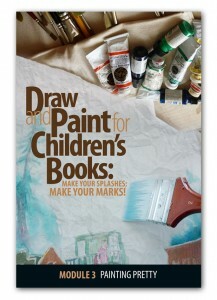 You might also look into the Society of Children’s Book Writers and Illustrators for their guidelines. http://www.scbwi.org. There are a lot of blogs and resources available on line on this topic and you can find a lot of the links to them on this blog. You might also find Uri Shulevitz’s great textbook “Writing With Pictures” and the more recent “Illustrating Children’s Books” by Martin Salisbury. Both of these authors are accomplished children’s book illustrators and art college instructors. Shulevitz is U.S. (a Caledcott Medal winner) and Salisbury is U.K.
Hi, I just launched my new illustration website targeted to children’s book authors. I’ve been doing freelance work now for years as a part-time gig but would like to find more clients and get some traffic to my website. Any ideas? The new site is http://www.illuminatedstories.com if you have a moment, would love to get some feedback. Great blog, its really refreshing that someone who is held in such great esteem takes time out to actually look at up and coming illustrators work… which is where I come in. i have always wanted to illustrate children’s books and was taken aback when I was contacted to illustrate 28 full colour illos for Cambridge University Press- since completing the project I am now wanting more commissions, if you were me, with such a large project under your belt, how would you go about obtaining more work? Nice work on your site, John. You do great people and young people! Why does everything have that sort of milky gray qualit?. It’s almost like we’re looking through a gray screen at everything. Is that just your style? congratulations on the Cambridge U. Press book illustration project. I would suggest lobbying Cambridge U Press for new jobs and Oxford University Press, while you’re at it. Send them postcards and samples. Ask for an invitation to visit to show your portfolio in their offices. Check out, if you haven’t already, the SCBWI British Isles chapter and read everything they have up on their page. Go to their conferences and chapter meetings if you can — maybe they have a group in Liverpool. This is THE networking organization for children’s book writers and illustrator folks and one of the fastest ways to get good information and meet folks in the industry..
Talk to every illustrator you personally know about any experiences they’ve had with book illustration and what they’d recommend for you. I know England does things a little differently than we do here, but nothing beats that person to person connection, as I’m sure you know. And just keep up with the kid lit and kid lit artist blogs on the web (like this one) — it is an amazing web network that seems to keep growing. those are my thoughts for the day, John — and thank you for making the time to post your thoughtful comment here. My other thought is activate that blog that’s already linked on your website and post things in it — doesn’t have to be much, but it gets folks a chance to know you a little better. Keep it updated with your latest doodles and pictures, photos of your working, sketching, etc. Please keep us posted on things, John. Love to hear about any of your discoveries on marketing for illustrators in the UK in the coming weeks/months. When the Cambridge U book comes out, let us know and we can post the link to the catalog page! just wanted to stop here and say Hi as I wander through your brilliant blog! I’ve been an illustrator for quite a few years and i haven’t come across a blog as good as this one- Thankyou. Thank you for the greetings! Enjoyed your tutorials on your blog, Aaron. Hello ! Nice to meet you ! I’m really intersted with this. Nice gesture studies, Loree! Gosh, I hate to think of the course as “school”. I assign home fun instead of homework, remember? I love your bright blog! I was so pleased to find your treasure of a blog yesterday. I just started my exclusive Childrens Illustration Blog after more than a decade of doing all kinds of things as a creative. Having worked on Kids television programming for more than 6 years and with my kids story & fairy-tale passions getting me to do a few kids illustration over the years, I felt I need a dedicated space for my work online too. So I just started this kids-author.blogspot.com. Though am only in the process of collecting all of my Kids work from within my archives (which include corporate design, animation and creative work in other media) and placing it here eventually along with my daily thoughts. I’ve been home-studying drawing and watercolour painting for years now and have been looking for an outlet to put my efforts into. I am keenly interested in Illustration and your course looks very intriguing. I have a question though. About how much time (in an ideal world) would you suggest it takes to go through each lesson? I am currently working full time and have 2 small children so I don’t have a lot of spare time. If the lessons are very intensive I may look at taking the course in another year or two. I really need a realistic time frame for what can be done. Thank you for your comment and question about the course. I’ll reply to you in a personal e-mail about the time requirements. There seems to be a lot of use of watercolor in Children’s book illustrations, is that an industry standard? or is there a clear advantage to using watercolor over say colored pencils or another medium one might be more skilled in? Also, How do you propose is the best way to start “Putting your work out there” if you understand what I mean? Watercolor is still being used alot in illustration, Rebecca. It’s so handy — and you can do it on a kitchen table. You saw in Marsha’s case how she uses watercolor in combination with Photoshop. This is done often now — illustrators combining traditional mediums with digital mediums to get all kinds of effects and save all kinds of time. Best way to “start putting your work out there”? Join SCBWI — get into their membership directly and post your portfolio there and in your local or regional SCBWI chapter, too if they have an online portfolio feature available. Get a WordPress blog and put your artwork up there, too — and talk about it — it’s like having your own online art magazine. Art directors surf online directories and illustrators blogs now, hunting for talent. Love the blog! Would love to do a childrens book some day so I will definitely be reading up on your posts! 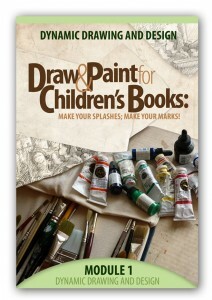 I must begin with how thrilled I am to read your blog post on ‘How to Be a Children’s Book Illustrator’. It would be appreciated, if we get an opportunity to put ourselves through your blogs (tags or reference link to our blog) and work it out vice-verse. post’s to be exactly I’m looking for. Does one offer guest writers to write content for you? I wouldn’t mind producing a post or elaborating on some of the subjects you write concerning here. Again, awesome web site! Do you have some ideas for posts to write about children’s book illustrations or illustrators, or illustrative and design? If so, I’d love to hear your pitch. Thank you for writing in. I have been following ur blog for a month or so, having had the good fortune of signing up on the Bologna Childrens Writing fest, or some such random thing….which led to ur blog. I love it, absolutely…I love the way your blog is so rewarding and enriching. I was feeling terribly low because over the last year or so, 3 of my favourite book shops closed down (in Bangalore where I live). I felt the worst when the shop that my daughter and I had haunted while she was growing up, closed….it was the best place for picture books…so finding your blog on writing and illustrating for kids seems like some kind of compensation. I have just starting blogging. But being from a generation that took to technology too late, am still awkward at it. I will be following ur blog ardently.